Cleverly designed space, rooms flooded with light yet still cosy and warm. Plus a summer . . . Highlights: A very peaceful setting in a small hamlet provides an idyllic environment for . 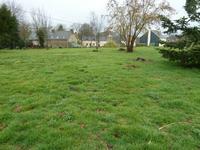 . .
Building plot of 1094m2 - Quiet residential country lane setting and only 1km from village commerce and Vilaine River. A very well placed plot of land in a calm residential lane. Water, Electricity and Telephone . 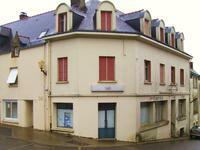 . .
1km from small village Center and the Vilaine River- Building plot of 926m2. 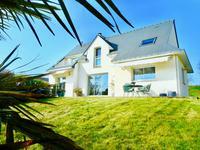 3-bedroom stone house with 2 garages and garden of 1300m2 only 1km from the Vilaine River, a fisherman’s paradise! Highlights: 4km town of Allaire and all commerce. Set in a peaceful hamlet. The house . 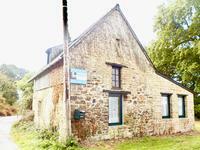 . .
Building plot in quiet hamlet near Nantes-Brest canal 1.5km from village. Good sized plot of building land with water and electricity on doorstep. 6km from Redon. Stately 6 bedroom detached stone house in hilltop position with river views. Prestigious property in prominent position. Centuries old, mellowed stone, rooms flooded with light, high ceilings, original flagstones, . 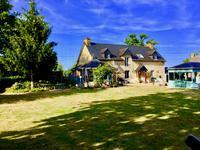 . .
Offers invited - 2km from the popular village of Rieux. 7km Redon. Fantastic renovation project. This 19th semi-detached stone house has an enclosed garden of approximately 1800m2, Garage . 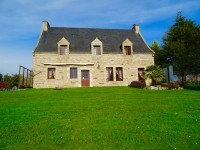 . .
Beganne - Rare - Detached stone built cottage with land of 8300m2! Large Garage. Quiet hamlet setting only a few km from Port Foleux. Main Features : Total of 4 bedrooms. Natural slate roof. Enclosed private garden to the . . .
A good solid house built in the sixties and later modified for a person with reduced mobility . . .
5 bed spacious modern house with swimming pool. Walking distance to bakery, a short drive to the sea & a bike ride from the port of Foleux. This is a beautiful spacious, light and airy modern 5 bedroom house with a swimming pool in a . . . Unique business opportunity, Former Hotel and bar in the centre of village, 20 minutes from the coast. With potential to develop, either to restore into hotel accommodation or into town housing. A perfect holiday home in a prime location or a manageable full-time residence. Exposed . . .
Building land on the edge of a village close to stunning beauty spot. Plot of building land in the village of St Vincent sur Oust just up the road from the . . .
1km Beganne. Structurally sound stone built house. Fantastic interior renovation project ! Quiet Hamlet on small country road. Potential habitable area on two levels in addition to an entire basement. Roof is in very . . . Highlights: Ideal family home with quick access to shops and services of Redon Town. Walking . . .